Who Does the Marriott Bonvoy Boundless Appeal to Most? Decision Time: Is the Marriott Bonvoy Boundless Right for You? When you travel quite a lot, it makes sense to want to improve your overall experience. If you have the right travel credit card in your wallet, then it will be possible to make traveling that much more pleasant. You can earn rewards for certain things and will even be able to enjoy good perks. Figuring out which travel credit card to sign up for may be a bit tricky, though. If you stay at hotels a lot, then a hotel-based travel rewards card is very sensible. The Marriott Bonvoy Boundless credit card is one of the premier cards on the market that people have been buzzing about. If you need a great credit card that will help your hotel experience to be that much nicer, then this one might fit the bill. There are many other options to consider though, so how can you be sure that this one is worth your time? We are here to do the important research for you so that you can make the right decision. Today we are going to be taking a close look at the Marriott Bonvoy Boundless credit card to see what it has to offer consumers. If you keep on reading, then you will be able to get into everything that this card does well while also looking at areas where it might be lacking. Making a smart decision about which travel credit card to apply for will be much easier when you arm yourself with information. You’ll earn 100,000 points after you spend $5,000 in the first 3 months. You’ll earn 6X points per dollar spent at Marriott hotels, and 2X points on all other purchases. One free night award (up to category 5) every account anniversary. The signup bonus is just ok, as it will earn you enough points for two free nights at a category 5 hotel. The free night award each year for $95 is well worth it if you can use it on an otherwise expensive night. One excellent benefit of signing up for this credit card is that you will not have to be concerned about foreign transaction fees. This is really good for when you want to use your credit card while traveling outside of the country. 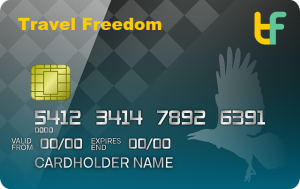 If you travel outside of the United States from time to time, then you can at least feel comfortable knowing that you will not be blindsided by fees for using your card. It makes things that much more convenient for you. There is an annual fee that is associated with this credit card, though. The annual fee falls within reasonable ranges as well, so it is not going to keep you from wanting to sign up or anything. You will be paying $95.00 per year to use this credit card. This falls in line with many other comparable travel and hotel credit cards, so it should not come as a surprise in any way. The other associated fees with this card also fall within standard ranges. You can expect a balance transfer fee of 3% with a minimum fee of $5.00. The cash advance fee is also set at 3% with a minimum of $5.00. Both late payment and returned payment fees are going to be up to a maximum of $38.00. The features of this card are actually going to help you to make signing up feel worthwhile. Some credit cards have features that are just sort of there, but this card has some truly nice perks for you to enjoy. Right away you will notice that there is a sizable welcome bonus opportunity. If you spend a certain amount of money within the first three months of opening your account, then you will be able to get a large sum of rewards points for your trouble. The introductory offer completely justifies the annual fee that you have to pay, so long as you are able to earn the bonus. The points that you earn will easily be worth more than the cost of the annual fee. You will also be able to enjoy a free night stay at a category 5 Marriott hotel or resort, earned on every account anniversary. Being awarded a free night to use at one of the luxury hotels on the list will be very nice. You can look forward to this perk every single year and you can use it as you see fit. One of the best reasons to sign up for this card is actually that it grants you automatic silver elite status with Marriott. This basically means that you will get access to a special reservation line, late checkout options, and a 10% rewards point bonus on your Marriott purchases. It makes it even easier to earn free nights and other lucrative rewards while staying at the Marriott. You will also be able to qualify for Marriott Platinum status easier when you have this credit card. You will receive 15 elite night credits per year, which helps to lower the threshold for Marriott Platinum status from 50 to 35 nights per year. Being able to make use of simple practical perks such as this helps to give this credit card a lot of value. It will be very simple for anyone who stays at the Marriott regularly to use this card properly. The rewards program is going to be very helpful for people who stay at the Marriott a lot. You will be able to earn 6X points per $1.00 spent at participating Marriott Bonvoy hotels. This can really add up quickly and will give you many rewards points to help alleviate some of your travel costs. Those who stay at hotels multiple times per month will really wind up benefiting from this rewards program. It is also possible to earn rewards on all of your other purchases, too. You will be earning rewards at a 2X per $1.00 spent rate for your other miscellaneous purchases. Being able to earn a pretty good amount of rewards for your everyday spending is actually very welcome. Most cards of this tier will not offer rewards at an increased rate for items outside of special categories, so this can be a decent everyday credit card if you need to use it for that. Redeeming points is going to be a simple process as well. You will be able to redeem the points that you have earned to get free hotel visits. It will always be easy to set up hotel stays and pay for them with your earned rewards points. You will not be limited to having this as your only redemption option, though. Cardholders can also choose to redeem their points by transferring them over to certain partner programs. One of the most popular options is to transfer points over to an airline. This means that you can use your rewards to easily pay for airfare if you are in need. You can even transfer points to some airlines that are not seen as often as transfer partners for credit cards, so these points transfer options become very interesting. The great rewards potential of this credit card definitely helps it to stand out from the competition. Being able to earn 6X rewards points on your Marriott hotel purchases is fantastic overall. The fact that Marriott has over 6,000 hotels and hotel partners around the world makes it easy to take full advantage of your credit card. If you travel often enough, then you are absolutely going to rack up many rewards points over time. Redeeming rewards is always very simple when you use this credit card, too. You will be able to redeem your earned points toward hotel stays whenever you want to. Setting up hotel stays is always fast and you can count on the Marriott staff to give you great treatment. If you simply want a card to help alleviate some of your hotel costs, then this rewards card can help you out in that way. There are so many transfer partners to take advantage of, too. If you are planning on using your rewards points to transfer over to airline partners, then you will have many options. There are more than 30 airline partners that work with this credit card program. You will definitely be able to transfer miles over to a major airline and will be able to use them to plan your next big trip effectively. The automatic silver status of this credit card really helps to make it worthwhile, too. If you stay at the Marriott often, then simply gaining this status may be enough to make it worthwhile for you to sign up for this card. You will be able to get 10% more rewards on your Marriott stays and will be given various other perks, too. It gives you some preferential treatment while also putting you on the fast track to earning even loftier status in the Marriott loyalty program. A lack of foreign transaction fees is also very helpful. When you travel abroad somewhat frequently, you want to be able to avoid those pesky foreign transaction fees at all costs. This credit card makes it so that you can use the card outside of the country without worrying about repercussions. It just makes things more convenient for you and that is always a good thing. The annual fee is not too high, but some people will still dislike that it is there at all. If you are dead set against paying any type of an annual fee, then you may want to look into other options. The fee is only $95.00 and you will earn rewards that will completely overshadow the annual fee in a short amount of time. Try not to worry too much about the fee if you travel fairly frequently, as it will not matter all that much at all in the long run. You could say that the APR is a little bit high on this credit card, though. There are certainly options on the market that have a lower APR than this credit card. You should likely avoid balance transfers on this card, as well, as it will simply not be cost effective. There is no introductory APR or anything of that nature, so you will be dealing with the regular APR from the very beginning. Some people may think that this credit card could use some more luxury perks as well. There are several good perks, but there may not be quite enough to entice certain people. 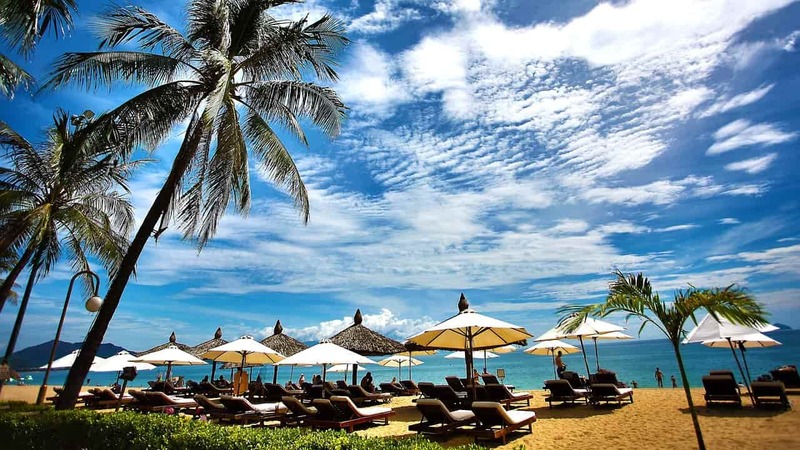 If you are looking for a true luxury travel credit card, then you may need to start perusing options with higher annual fees. Otherwise, this card does offer great value for the tier that it is at. Getting approved for this credit card is going to require having a very good credit score. To have the best chances of approval, you should ensure that your credit score is 690 or higher. Those with even slightly lower scores are unlikely to be approved for this card. Anyone with an excellent score has a great chance of being approved, so do your best to check your current credit score before you decide to apply. The Marriott Bonvoy Boundless Credit Card appeals to people who travel often enough to justify keeping it around. If you are the type of person who goes out on business trips or vacations very often, then having a travel credit card is sensible. This is going to improve your overall experience while you are out on the road. It is a card that can justify having an annual fee by offering you a superior hotel experience. You will also want to be a person who is loyal to the Marriott hotel brand. If you are the type of person who prefers to just look for the best deal at any town you are traveling to, then this is likely not for you. To make the most of this card, you need to stay at the Marriott hotel every time you go somewhere. 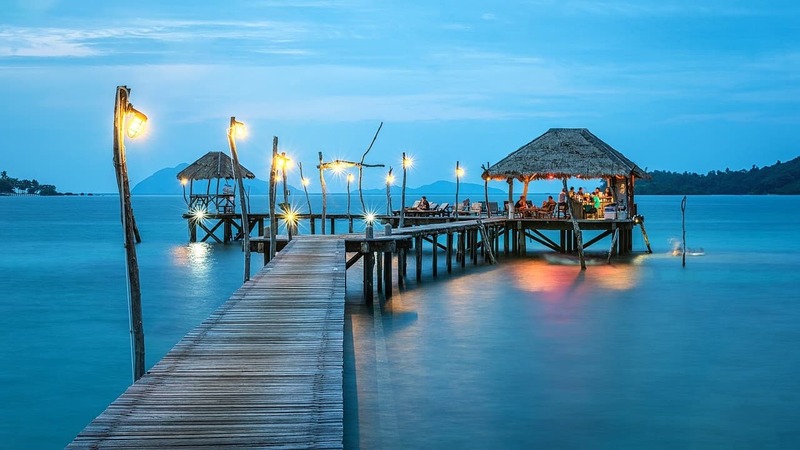 If you visit Marriott hotels or its affiliated properties often enough, then this credit card becomes a very sensible option that will earn a spot in your wallet. This credit card will also appeal to anyone who wants to earn points that can be used toward purchasing airfare. This program has many partner airlines that will allow you to transfer points over to their system. This helps you to book flights with various major airlines and can make your travel experience that much easier. Your rewards can be used to pay for both airfare and your hotel stays if you have enough points. If you are looking for a safe alternative to consider, then you may want to think about the Chase Sapphire Preferred Card. 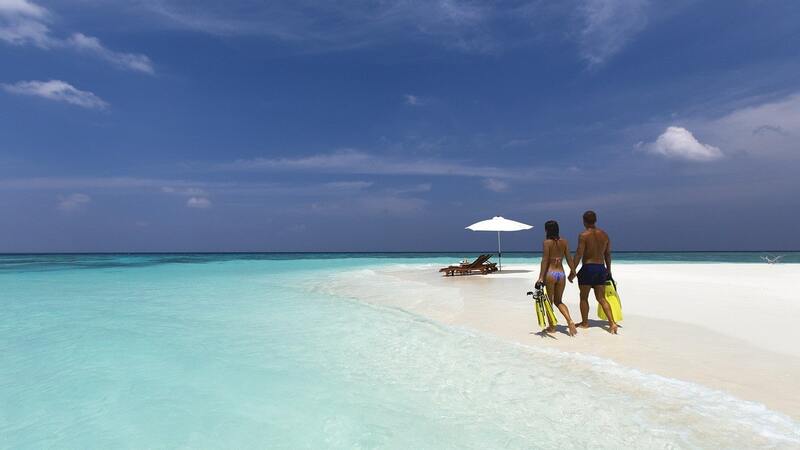 It is a credit card that has proven itself as a valuable travel credit card for many people. It can offer you 2X rewards points for every $1.00 spent on travel and dining. All other purchases earn you rewards at a 1X rate. This card helps you to earn points that can be transferred to various partner programs. In fact, the points can even be transferred over to the Marriott. It has a good introductory offer that will appeal to you and has the same annual fee as the Marriott Bonvoy Boundless credit card. 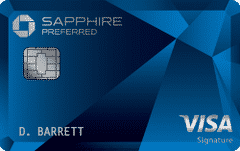 The Chase Sapphire Preferred Card waives the annual fee for the first year, though. Whether or not this is going to be a better credit card for you than the Marriott Bonvoy Boundless credit card comes down to personal preference. If you are a truly loyal Marriott customer who travels a lot, then you may prefer the Marriott-branded card. You just want to make sure that you are going to be able to use the card to its full potential before you sign up. Both of these credit cards are great for people who travel regularly, so they are well worth comparing to one another to see which fits your needs the best. 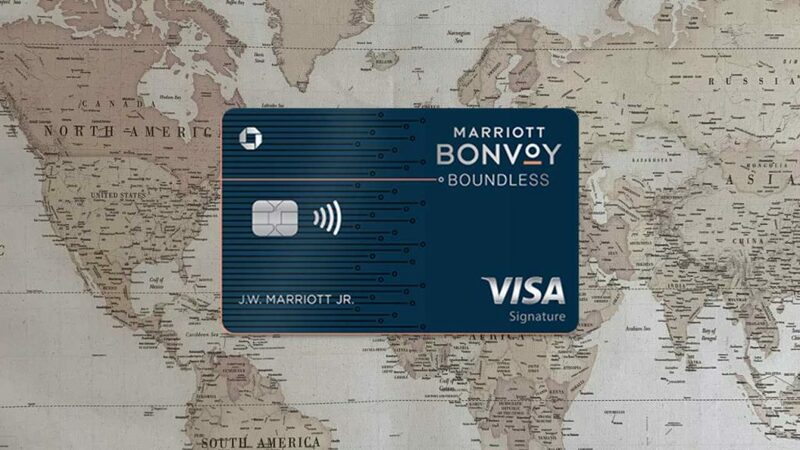 Signing up for the Marriott Bonvoy Boundless credit card is going to be a good idea for many people. It can improve your overall experience at Marriott hotels and will also be beneficial at many other Marriott-affiliated sites. If you travel all the time and stay at hotels regularly, then this will be among the most practical credit cards in your wallet. Using this credit card to its full potential will help you to earn beneficial rewards while allowing you to enjoy some pretty great perks. There are other options on the market for those who do not like being tied down to one hotel chain. If you are not ready to commit to the Marriott brand of hotels, then this card may not be the one for you. Even so, it is easy to see the overall appeal of this credit card. It can give you a superior traveling experience and will give you more than enough perks to justify that annual fee. Consider signing up for this credit card if you think that you will make use of it often enough. This credit card is more useful for regular travelers than it will be for those who only travel infrequently. 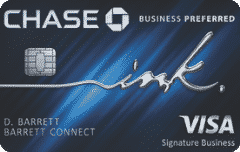 For the regular visitors to the Marriott hotels, this credit card is a truly great thing. It comes highly recommended for offering cardholders good perks and a solid rewards experience.